This year’s Diocesan Catechetical Convocation will be held on Sat., Sept. 29 from 9 a.m. until 4 p.m. at Paul VI High School. 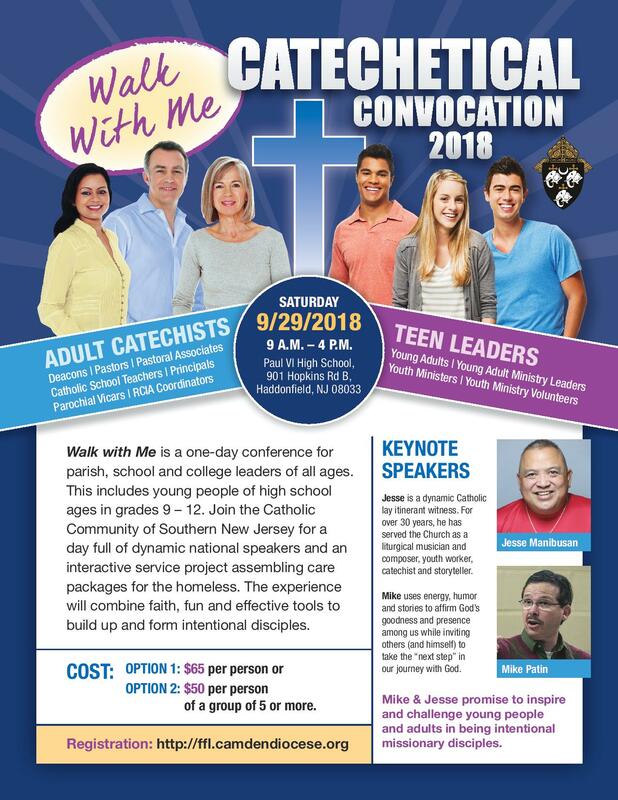 Jesse Manibusan and Mike Patin are our keynote speakers, along with many exciting workshops for parish, school, and college leaders to attend throughout the day. Also the day will include a service component to benefit local homeless shelters. To view workshop topics and for more information go to ffl.camdendiocese.org. 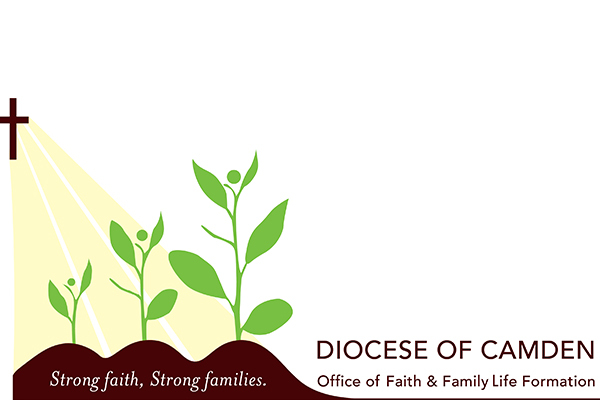 To register for the diocesan convocation, click here. Contact Mary Lou Hughes.or Greg Coogan.